I’ve explored over a dozen countries so far in my 30 years, and some of them have given me unforgettable experiences. Japan is where I discovered a beauty, serenity, spirituality, and sense of order that seemed otherworldly. Italy had the best ancient ruins and food, as I skipped through the cobblestones of Rome eating black cherry gelato with the Colosseum as my backdrop. 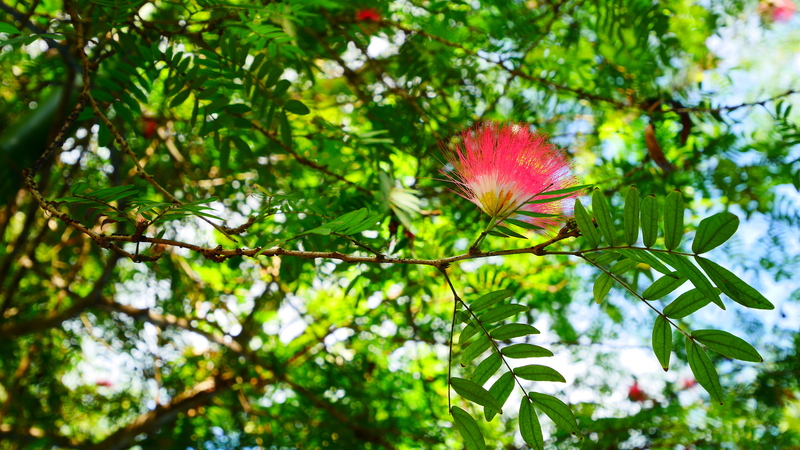 The tiny island of Trinidad is a dazzling place where during carnival season, the whole island is a kaleidoscope of colors and whirlwind of sounds, from the bright feathers and jewels of the costumes to the newest soca music blasting at the best fetes. But the most wholesome experience I’ve had thus far is in a place many people already have preconceived notions about: a country whose strained relationship with the United States is hard to miss, a place with a rich history, vibrant culture, and stunning art, and where I discovered a profound mix of both pleasure and sadness for how beautiful the country is despite the circumstances. Here are my tales of Cuba. I’d usually do a chronological account of my day to day travels, and even though this trip was mostly planned in advance, the days I spent there felt like a simultaneous stream of experiences. Some moments that were days apart flowed into each other as if they all were poured into a pot, stirred into a swirl and simmered until every moment was an even richer and more concentrated flavor. One day built onto the next, and each time I loved one thing only magnified the love I had for the next thing my heart encountered. Thus I can only describe my visit in a series of moments and themes rather than by time elapsed. But first I’ll start with my expectations for the trip from before I even got to Cuba. 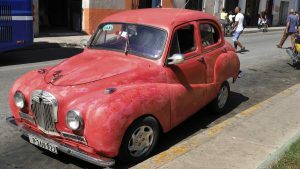 Like many, I imagined Havana to be a beautiful town with old cars and stunning beaches. My actual understanding of the country was limited to the little political knowledge I had regarding Fidel Castro and the country’s turbulent relationship with the United States. Distant memories of history lessons about the Bay of Pigs, the Cuban Missile Crisis, and controversial revolutionary-turned-leftist-pop-icon Che Guevara hovered in my mind. 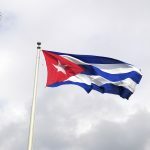 The week before departing for Havana, I brushed up on Cuba’s history to better understand what the country has been through, from the fights for independence and the revolution to communist rule and the embargo. 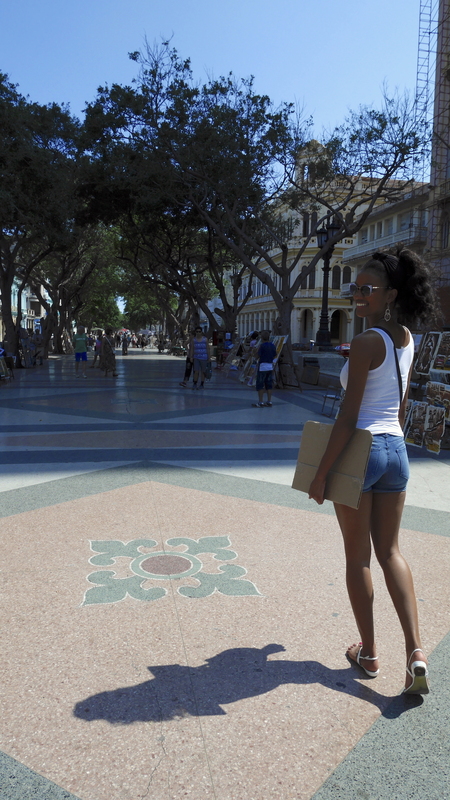 Feeling well equipped with knowledge of Cuba’s past, I was ready to explore Havana. Yet little did I know, Cuba’s present and its unfolding future would completely change my experience of the country into one full of jarring juxtapositions that I’d juggle time and time again. 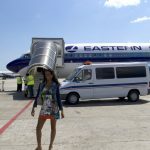 Arriving in Havana at its tiny airport, I was immediately overwhelmed by the heat and brightness of the sun. It was hot and humid like any other Caribbean island, but the sun seems to have a different fire there as if it burns for a special purpose. 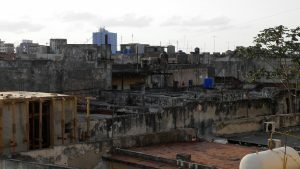 There is a sleepy haze around Havana, one that makes you want to fall into a deep slumber filled with dreams about the Spanish colonial buildings, graffiti-lined alleys and classic old cars. Havana is definitively feminine, a woman who knows the power of her charms, beautiful albeit damaged, untouched in some places and scarred in others. She seduced me the moment I stepped out of the airport, with the sun and humid air as her accomplices. She is like a glass of her own rum: dark, smooth, going down warm and staying with you long after your first taste. Intoxication comes easily in this city, more so for me in the mental rather than physical form, as Havana takes pieces of your soul while you sleepwalk through her streets. She is at the same time tranquil and vibrant, a spectrum of colors smeared on a canvas by carefree hands and yet still nothing short of a masterpiece if you don’t stare too deeply into the surface. It didn’t take long to fall under her spell. 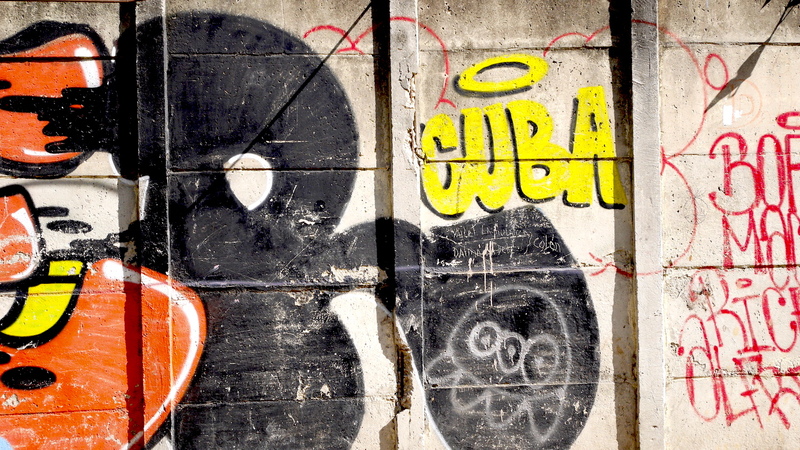 I find Havana to be like a love imagined but not yet discovered, with an aura full of as much spirit of the revolution as the air is fraught with moisture, heavy and intoxicating like it is infused with its own perfume of mojitos and the faint hint of Cohibas. She seems frozen in time, an old soul with a young heart: a city that has remnants of Spain’s rule in the old colonial buildings and the effect of the embargo is visible on the old cars, yet the clubs and bars still have a free-spirited authenticity, and the Malecón seawall is regularly full of thousands of Cubans enjoying free entertainment with their friends and lovers in the evenings. It is an interesting coupling of old and new, the first juxtaposition I discovered in this city of contradictions, a place that is finding balance between the revolutionary days of the past and the young America-crazed ready-for-change generation of today. Tinges of history and heroes are branded all over the city, from the “Viva Cuba” painted on salt-eroded buildings peppered along the Malecón to powerful statues of national hero José Martí. Yet newer cars find their way onto the streets and the construction of new hotels is already underway. 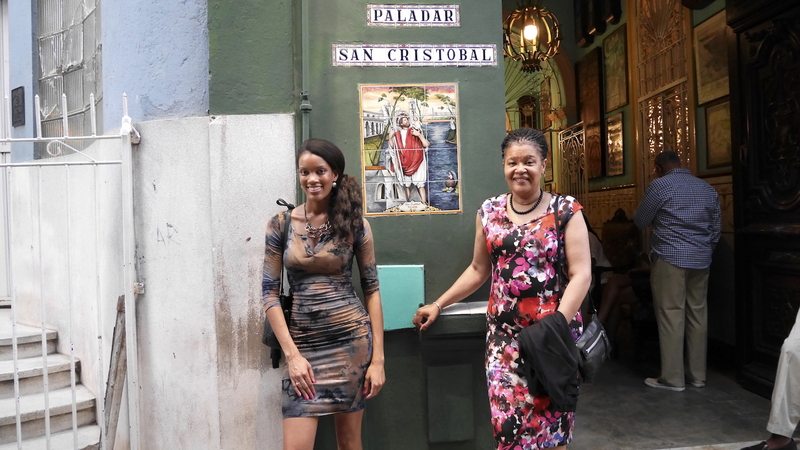 I visited Havana with my mom and godparents and a couple dozen other African Americans, ready to begin our adventures on an Afrocuban-focused tour. We had an excellent tour guide named Richard, provided by Havanatur (seek him out if you plan to visit!). He was knowledgeable, funny, sincere, and intelligent. It was great having him pave the way through Havana for us. Through him, Havana’s spell first bewitched me on our visit to some excellent places, including schools, museums, and artist workshops. 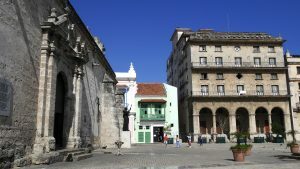 We explored the many plazas of Habana Vieja (Old Havana), with their beautiful statues, old bell tower, the gorgeous and intense Catedral de San Cristóbal, and buildings dating as far back as the 18th century. We strolled the Paseo del Prado, a beautiful street lined with benches and trees where artists and craftsmen sell their works on weekends. We saw old abandoned buildings, still beautiful through their pain, and heard the heaving engines of decades-old cars. 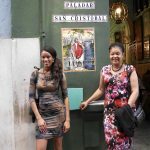 We shopped along souvenir-lined streets and dined at many a fine restaurant, including San Cristobal Paladar which was recently visited by the Obama family on their historic trip to Cuba only several weeks ago (delicious food!). 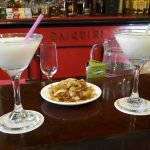 On the evening we went to San Cristobal Paladar, we had to wait a while for our table to be ready. A few of us stayed outside and saw some children playing on the street across from the restaurant (many restaurants in Havana are in residential neighborhoods). They were lively and chatty, treating us like family instead of like strangers or tourists. They were warm and funny, telling us in their fast yet easy to understand Spanish about their school uniforms, love for music, and favorite ice cream flavors. A boy lovingly teased a girl for being fea; she teased him back for being estúpido. Another boy showed me a clever card trick. A girl, the oldest and most social of the group, told me how exciting it was when Obama came to visit. A toddler tried on my purse and really didn’t want to give it back. All the children crowded around me as I showed them photos of my dog, Willow, on my phone. “Perrito!” they all chanted, asking to see more pictures from America. I took pictures with them as they all screamed, “¡Viva Cuba!” in unison with some of the purest laughter and smiles this side of the hemisphere. Young, vibrant, and all different shades of white and brown and everything in between: this was the innocent, hopeful future of Cuba. It was one of my favorite moments of the entire trip. As imaginative as I found a lot of the dishes to be, they fade in comparison to the abundant levels of creativity found in this country through art. Cubans are some of the most creative people I’ve ever met, having to find clever ways to invent and produce with so little over the years. I saw so many beautiful and unique paintings, drawings, graphic designs, sculptures, and jewelry. 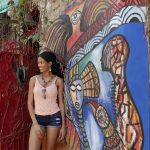 We went to a place called Callejon de Hamel (Hamel’s Alley), a short alley with painted murals on every wall and decorated with household items like bathtubs transformed into bold pieces of art. 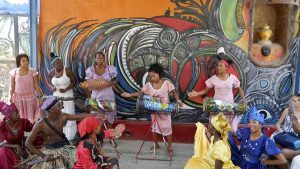 The brainchild of Salvador Gonzalez Escalona and founded in 1990, the place focuses on Afro-Cuban-themed art and music. I learned a bit about Santería, an Afro-Caribbean religion that grew out of the Cuban slave trade hundreds of years ago and is based on a hybrid of Yoruba beliefs and Roman Catholicism. I learned about several of the Yoruba deities, including Oshun, the orisha of love, fresh water, sensuality, and fertility. We witnessed the intensity of Rumba dancing by local teens and looked at art from some of the students. 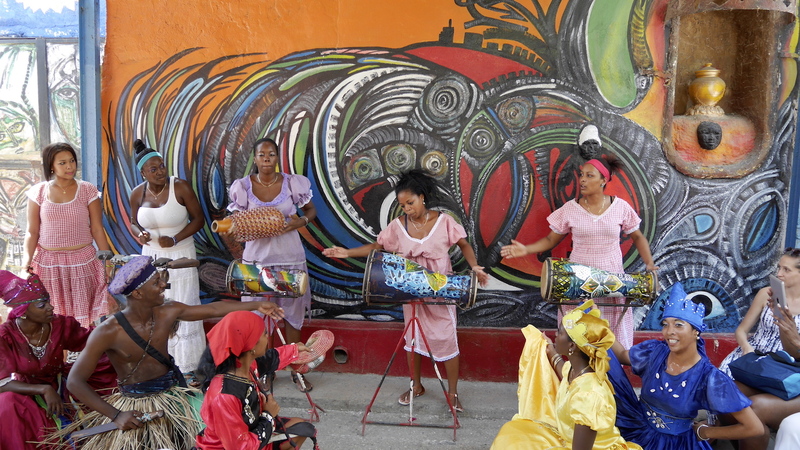 The music and movements were powerful and heart-stirring, as is all the music I heard in Cuba. 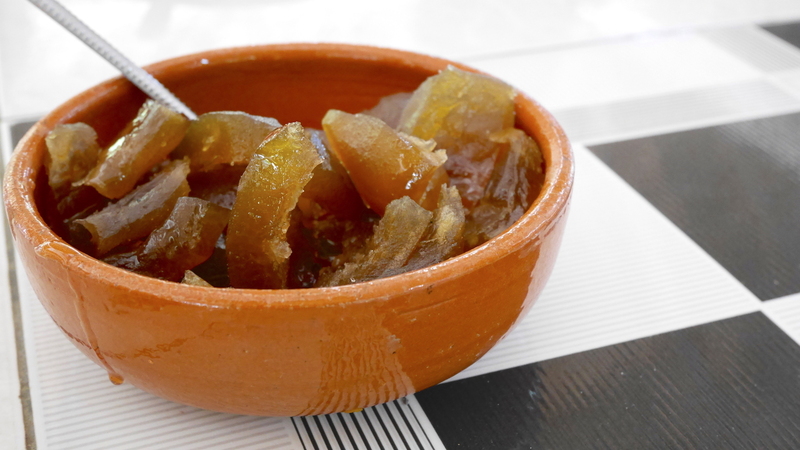 The Salsa is riveting and the Reggaetón infectious. I loved every beat of it all. Another creative place we visited was the home and art studio of José Fuster located in Jaimanitas. This brilliant artist turned his entire house, yard and all, and even parts of the neighborhood, into a collage of walls and curvy statues covered in broken ceramic tiles. 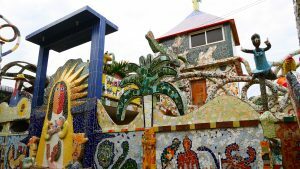 It reminds me a lot of Antoni Gaudí’s work in Barcelona, with colorful, organic masterpieces taking over yards of wall and ceiling. It was stunning from top to bottom. 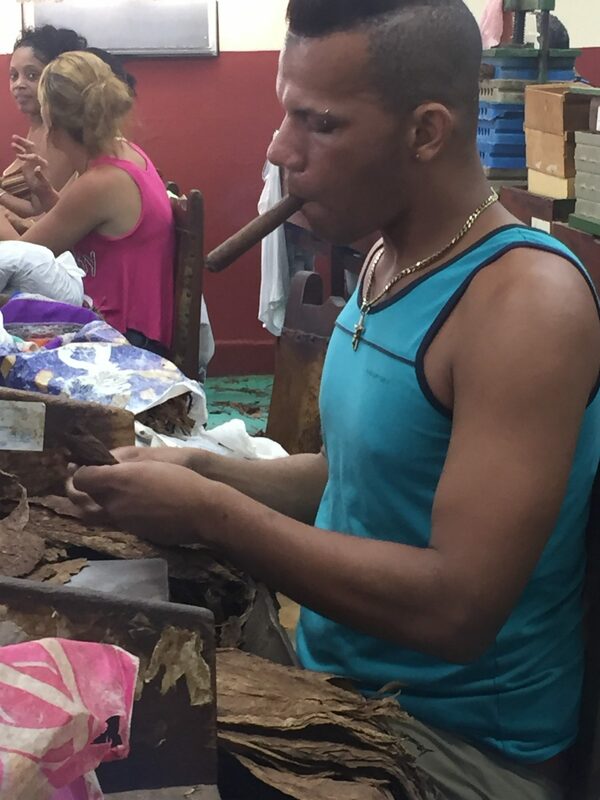 Some other interesting indulgences included a visit to a local cigar factory, where we watched dozens of workers cut and roll cigars by hand, some while listening to music and others while smoking cigars themselves. Most of the rollers there were women, and I was satisfied to learn that 60% of the 600 workers in this one factory are female. 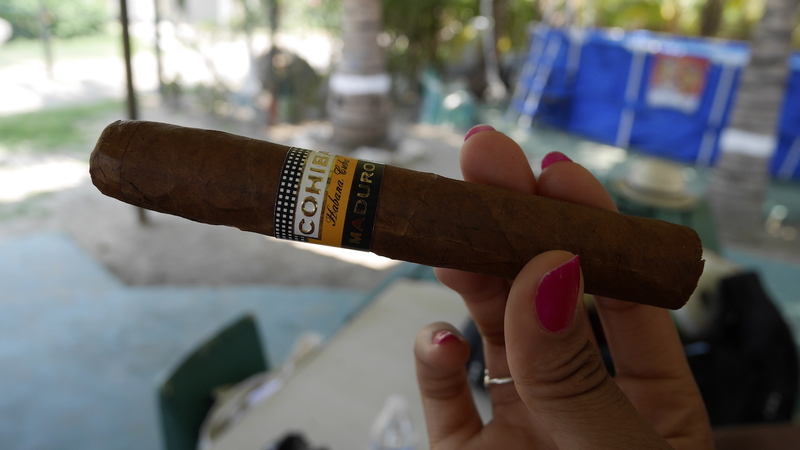 This factory produces one of the top cigar brands in Cuba, Cohiba. We also visited the Hemingway house, which was beautiful but just reminded me of how lavish the writer’s life was in comparison to the local Cubans around him. We strolled the streets of Matanzas, a town located a couple hours outside of Havana and known as the Venice of Cuba for the 17 bridges that cross its three rivers. We visited a small shop there that makes books from scratch. 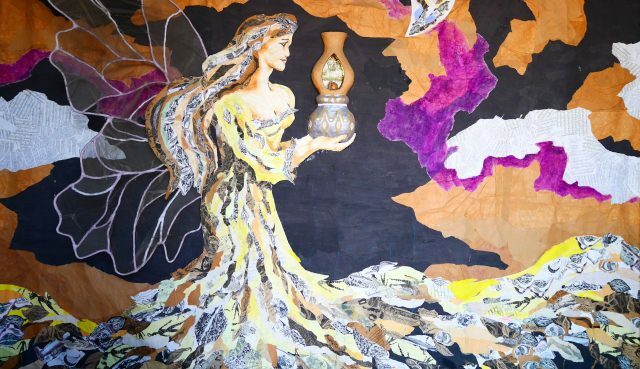 On one of the walls in the upstairs office, there is a mural of a winged woman in a gold dress holding a lantern. This was one of the most magical pieces of art I’d seen in Havana, and it was so unexpected to find. She wasn’t on display downstairs for all to see; she was simply on a small wall in a corner for those who happened to go upstairs to witness. This became the theme of all things that captivated me in Cuba: it was not the obvious things in plain sight that were the most beautiful, but the ones I stumbled upon with no warning or explanation. We visited La Escuela Taller Gaspar Melchor de Jovellanos, a school that trains disadvantaged youths how to create, restore, and build things. The students train to become carpenters, painters, gardeners, blacksmiths, electricians, and mural restorationists, to name a few. 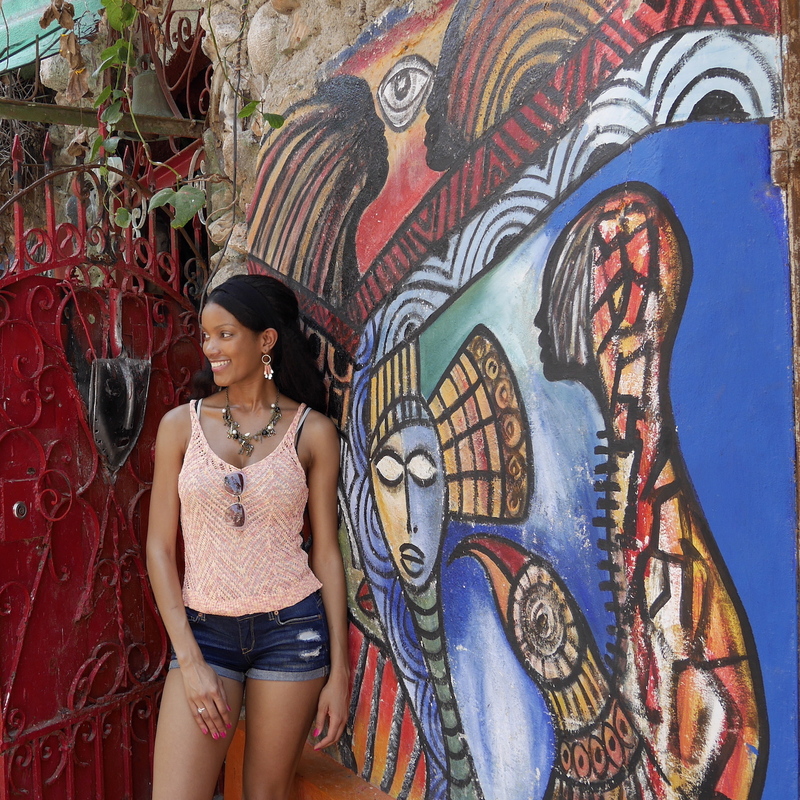 We also got to explore the art studio of renowned Afro-Cuban artist Eduardo Roca Salazar, lovingly known as Choco. His art is detailed, multidimensional, and often dark and moody, with its own unique style. Choco is an amazing man, full of energy and creativity, and I regret only that I didn’t get a chance to chat with him more or see him in action on a new piece. As satisfying as all the art I consumed was, there was still something missing, a part of Havana that didn’t yet have a chance to speak to me. I wanted something a little less tourist-minded and a lot more authentic, and I’d have to be creative if I was going to figure out how to satisfy that craving. I needed to learn more from local Cubans, to hear their truth and passion directly from their lips. Our tour guide was born and raised in Cuba, but it was tricky to pull him aside long enough to get any truth from him about his thoughts about Cuba’s past, present, and future. 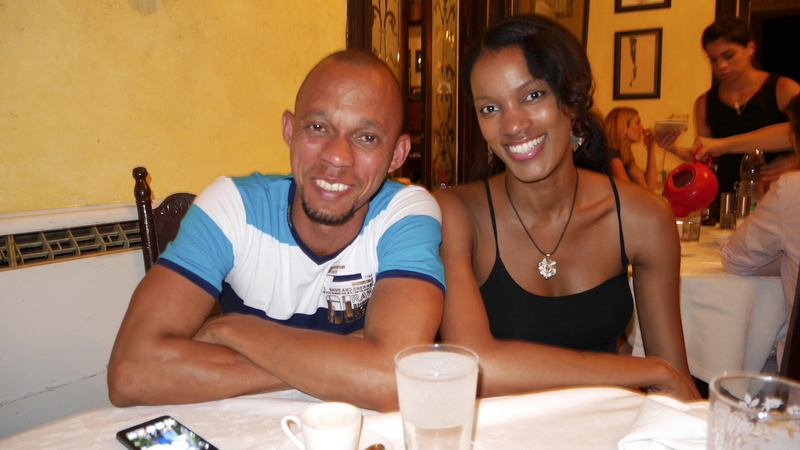 Luckily I had the perfect opportunity to meet with locals through a friend of mine who lives in Havana. Through him, I had a chance to sneak away with a couple of the other young women from my tour group to meet up with him and some of his friends–some who are Cubans and some who are Americans–at the beautiful beach of Guanabo. 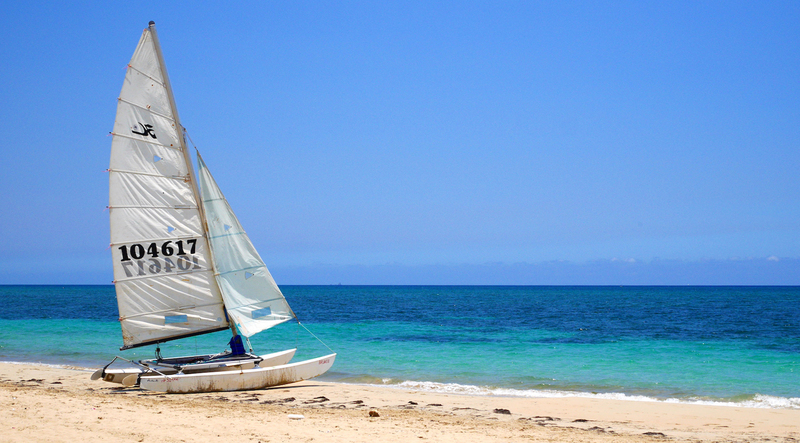 Guanabo beach is a 30-minute drive from Havana. My two new girlfriends, Jackie and Marisha, accompanied me as I met up with my friend Justin at a quaint beach home he had reserved for all of us to enjoy. He also had some friends from Cornell in town, and three of his local Cuban buddies were there as well. The beach itself is gorgeous: not crowded, and seemingly no other tourists in sight, with warm green-blue waters and a calm, clear sky. 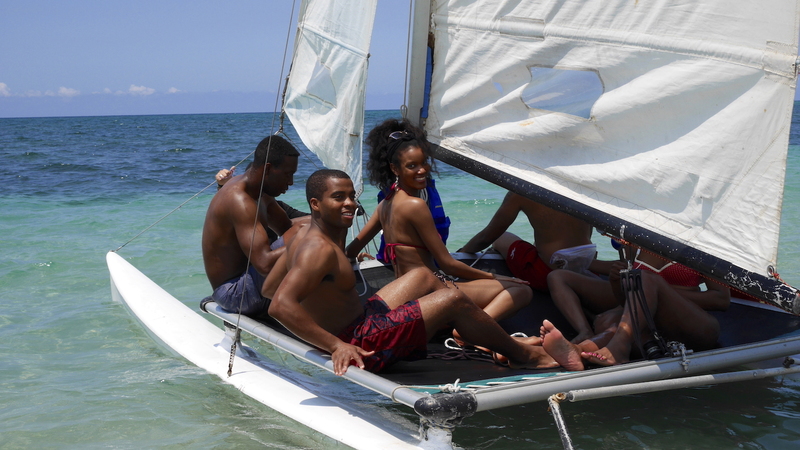 We got to go horseback riding and sailing on a catamaran. One of Justin’s Cuban friends grilled red snapper, some of the tastiest fish I’ve ever tried, drizzled with a vinegar, pepper, and onion sauce that reminds me of the escoveitch fish of Jamaica. 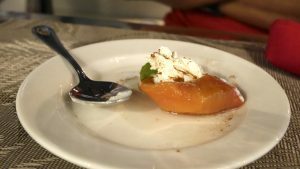 The chef was introduced to me as Alfredo, and he was one of the most energetic, charismatic personalities I’ve met in quite a while. He told us stories about local Cuban women and what the dating scene is like there. He also showed us pictures of his family as he described his love for those closest to him. The best part of listening to Alfredo speak was watching him; he spoke with his hands and his body, demonstrating ideas he couldn’t quite convey in his limited but impressive English with a gesture or facial expression. 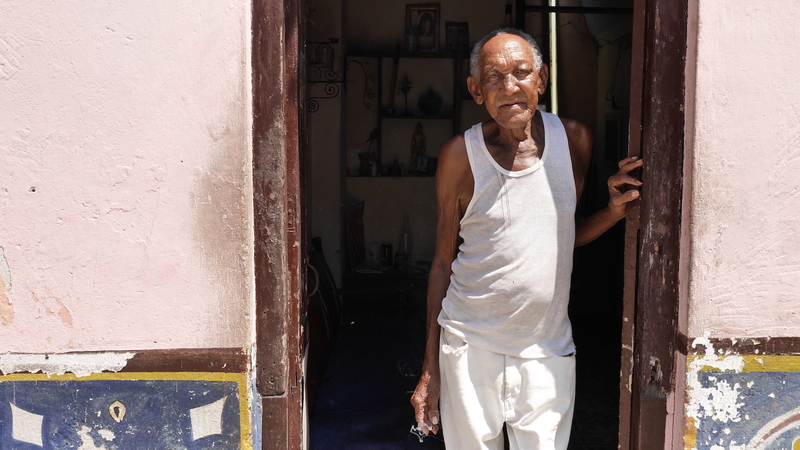 He told us about his love for Cuba, for his appreciation for the simplest of things in life. He told us about race and how ultimately everyone in Cuba is Black, he himself a deep caramel tone with a head full of thick, tight curls. 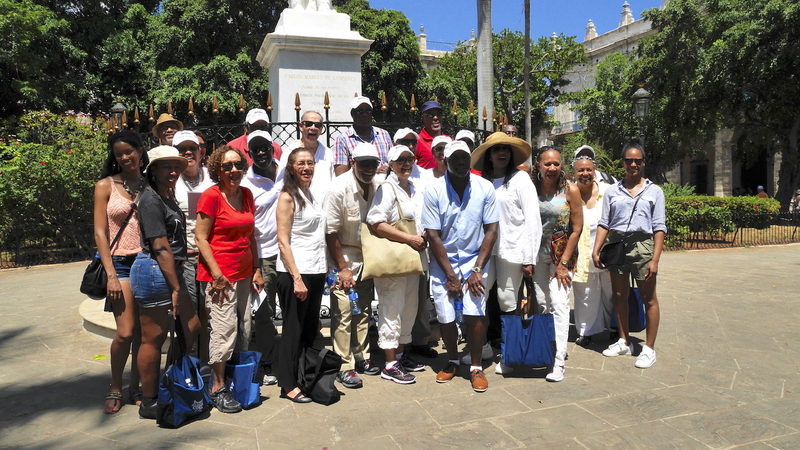 Our tour guide Richard had told us a similar sentiment, and said that there is a saying in Cuba: “Si no tiene de Congo, tiene de Carabalí”, which basically means that everyone has some African blood flowing in their veins. 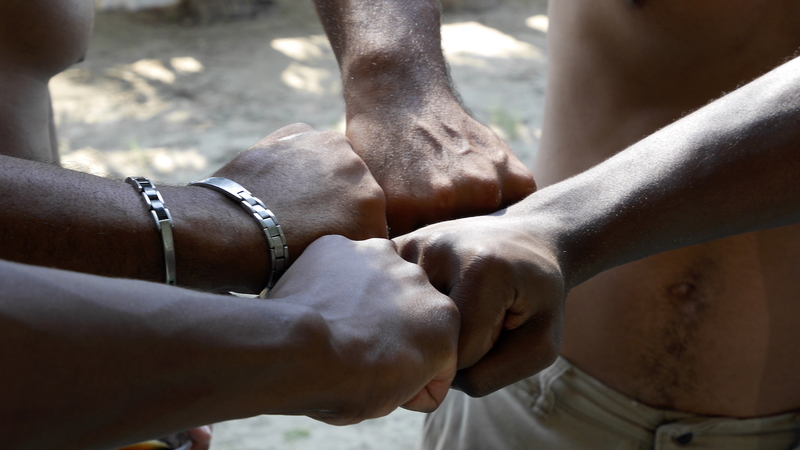 The Atlantic Slave Trade brought thousands of African slaves to Cuba. 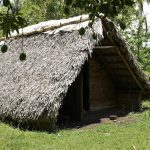 These Africans along with the original Taíno who inhabited Cuba, the English, Spanish, and other Europeans who staked their claim on the island, along with others from nearby countries have all mixed over the centuries to create a very diverse–yet still inherently Black–people. 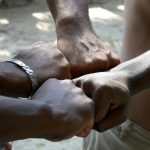 There are no agreed-upon facts about just how “Black” Cuba is; some sources say 30% while others say something closer to 60%. 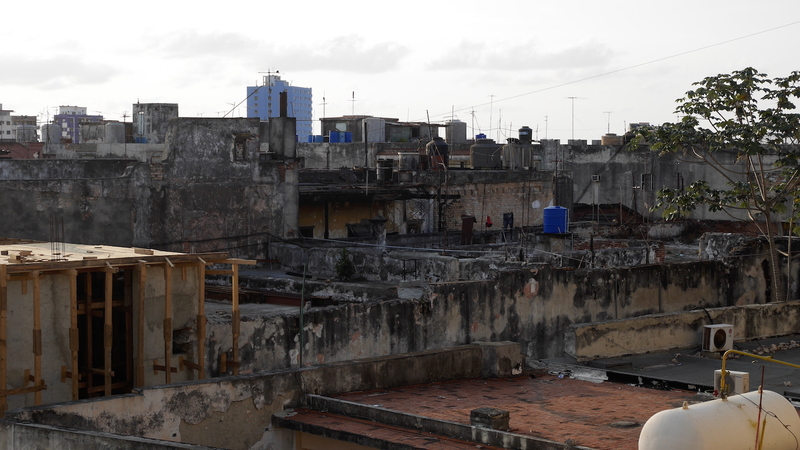 The bottom line is that Blackness is as much a part of the Cuban story as Spanish is. Alfredo and his friends showed us how to salsa (I participated, though terribly I’m sure) and we watched them dance to the latest Hip Hop songs. 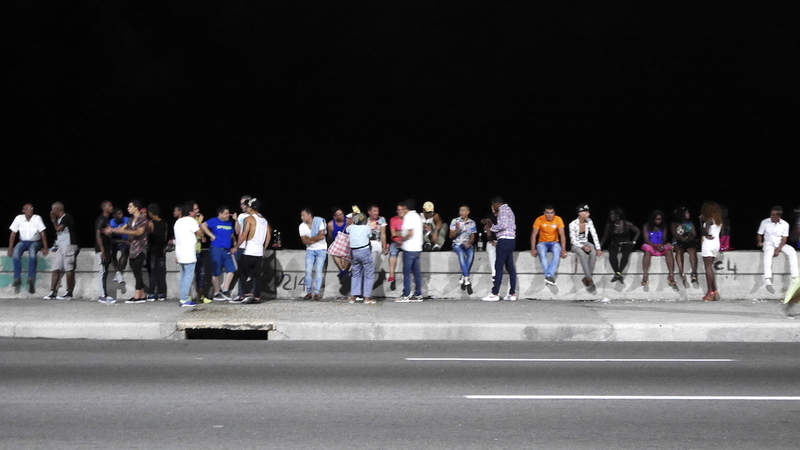 We jammed to a Reggaetón song called Hasta Que Se Seque el Malecon, by Cuban artist Jacob Forever, which basically tells the Cuban people to party and enjoy life until the ocean along the popular seawall dries up. This song inevitably became my theme song for the trip. The guys took turns doing handstands. 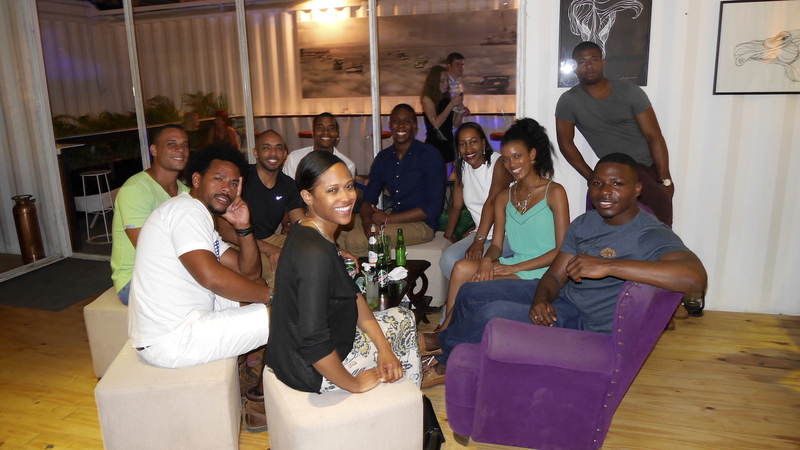 They smoked cigars, we ate fish, we drank rum, we laughed, we danced, and I had a truly authentic, organic, and everyday experience in Cuba. It was a refreshing break from long schedules and a large tour group, and I was starting to replace my initially surface fascinations with a deeper immersive experience. One night towards the end of my trip, I was at a lounge in Fábrica de Arte Cubano (Cuban Art Factory), a clever hodgepodge of rooms with art and photography exhibits, live music, bars, and food. I was with the same group of people from the beach, and Alfredo, who I’ve since grown closest to, asked us if we would ever consider living in Cuba. I quickly answered yes, my mind full of all the beautiful things I’d seen and wonderful people I’d met thus far. But once the truth about living conditions came out over several Cuba Libres and mojitos, I wished I could change my answer from “Absolutely” to something a little more realistic. Honest chats with my companions disillusioned the suspended dream I had been living in, forcing me to realize that the scripted tours we participated in did a good job of showing us the “interesting”, “cultural”, government-approved-itinerary side of Cuba while shielding us from the true poverty and lack of resources that plague the country. My naivety–or more accurately stated: my ignorance–dissipated and my empathy evolved when I learned the truth about things. To name a few truths I learned: Cubans were not allowed to stay in their country’s own hotels and resorts until just a few years ago, and some places still refuse them. 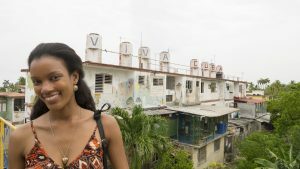 A lot of the tourist-centered places are too expensive for Cubans, with a cover charge of $15 at places like Casa De La Música being out of the question. This is only one example of the fact that visitors can enjoy a lifestyle on the island that locals will likely never touch. The American flag, found on the shirts of countless Cubans and hanging from the rear view mirrors of many a taxi, has only recently been an allowed trend. 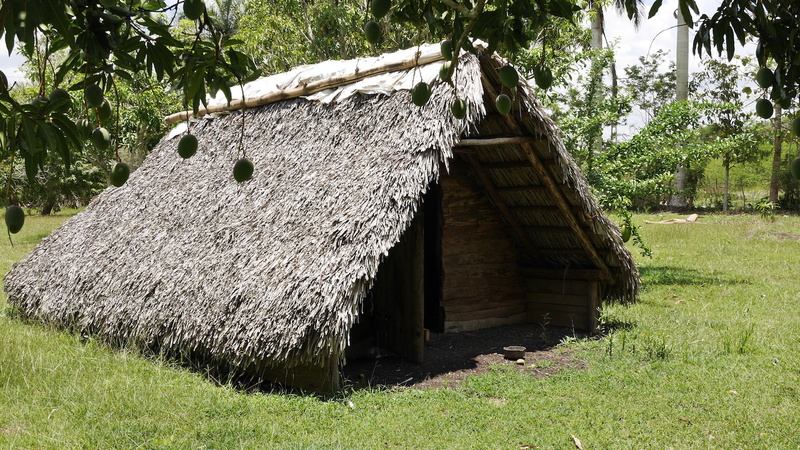 Cubans weren’t allowed to build their own homes until 2010. Food is rationed out every month, and luxuries like certain meats aren’t always available. The average salary is less than $20 a month (even doctors only make about $60 a month). There are even two currencies in Cuba: the peso and the convertible peso (called CUCs). Pesos are the money of everyday Cubans and aren’t valued as highly as CUCs, which are valued one-to-one with the US dollar and are primarily used by tourists and the elite Cubans who have access to them. 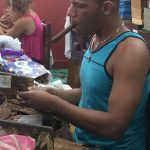 This money disparity puts a further divide between tourists/elites and everyday Cubans, with some items being inaccessible since they can only be purchased with CUCs. This raises a burning question: Why have two currencies that so clearly divide the population–both local and foreign–in a system that claims to promote the equality of the people? Furthermore, information access is scarce; the internet, which only reached 30% of the population in 2014, was finally introduced in WiFi form at public hot spots in 2015 (yet not free; internet cards can be purchased for a couple dollars for an hour of use). Sales of mobile and computer devices are restricted and email is closely monitored. Televisions have only five Communist controlled channels. 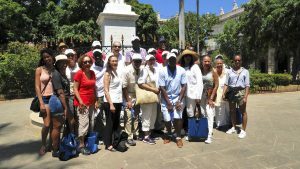 Thus access to the best goods and information about the real outside world is hard to come by, and chances to advance oneself beyond the limited opportunities in Cuba makes it challenging to truly flourish. Don’t get me wrong, there is still that typical small percent of the population who has access to better housing, housekeeping, satellite cable, decent in-house internet and a slew of other perks that we Americans deem commonplace. But that is not what you’ll find in the home of an everyday Cuban. On the brighter side, the perhaps tarnished silver lining of the system is that healthcare and education through college are free, with a high doctor-to-population ratio, innovative medical research, excellent healthcare, and a literacy rate of 99.8% at the time of this writing, but clearly a lot more needs to be done to improve the quality of life in the country. 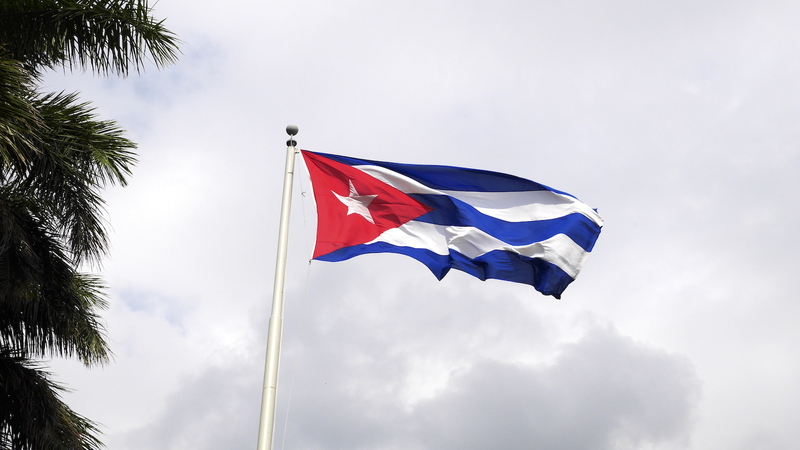 Progress is definitely being made to lessen restrictions on Cubans, but there is still a long way to go. I do not pretend to understand politics, but it seems to me that now that tensions between Cuba and the United States are beginning to thaw, reform must continue to reshape the future of this tropical demi-paradise. 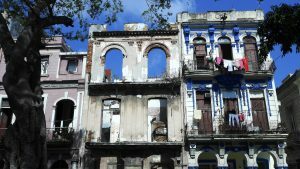 This is only the beginning of changes to what is sure to become a different Cuba. But how different? At what point is too much change a bad thing? 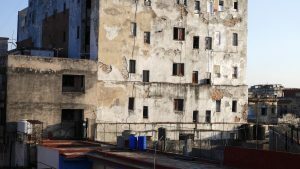 Is there a way to simply change things so that the economy and people can finally flourish without the added expense of transforming Havana into a McDonald’s-ridden, hotel chain-plagued, capitalism-drugged city? For what is capitalism and democracy to the eyes of many Cubans but glamorized modern-day colonialism and imperialism, the same tricks from yesteryear with a little more lipstick and appeal? Or are these necessities for a better life, one that gives the youth a true chance to blossom and experience the outside world? The first signs of conflicting desires for change emerge: a society of young and old generations, both with their own vision of what Cuba’s future should be. 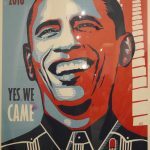 A sign of the classic Obama “Yes, we can” campaign is transformed by an artist into “Cuba: Yes, we came”. An image of Havana along the Malecón is overlapped by images of the Golden Gate Bridge, a Las Vegas-style “Welcome To La Habana” sign, and the golden arches of a McDonald’s taking over the city. Is this the kind of reform we imagine? 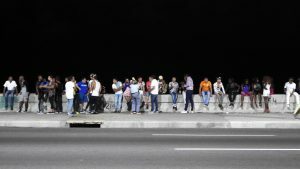 Is it the kind of reform Cubans imagine? So back to the question posed to me that warm rum-filled night in Fábrica de Arte: “Would you consider living in Cuba?” My interpretation of that question is now whether I could live there under the conditions that everyday Cubans endure, not as someone who is elite and can maintain a lifestyle as close to the one I live now as possible. I’d like to think that I’m humble and humanitarian enough to say I could walk away from a great salary, a new townhouse, a car, a stable environment with everyday perks that are truly Cuban-perceived-luxuries like hot water for showers and a pantry full of whatever food I want to cook that night, but truth is, I’d be missing a whole lot. I’ve never been so aware of my American privilege. Could I live there, under above-average conditions? Probably. But “Would I live there?” is an entirely different question, regardless of the conditions, and it is a question I now know I do not yet have an answer to. 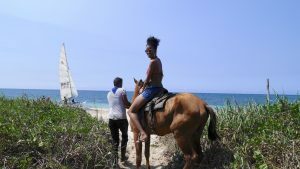 I do know that I want to revisit Cuba in the near future before tourism is hiked up to new levels that are sure to change the face and soul of Havana and other parts of the country. But for now, I hold on to the vivid memories of art, children, beaches, music, poverty, history, and romance, that delicate duality of bliss and melancholia, infatuation and heartbreak, drunkenness and sobriety. And all of these experiences have enlightened me. 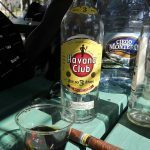 Learning the truth about Cuban life quickly transformed the drunken stupor and infatuation I had with Cuba into something real. The utopia I spun together was perched on a pedestal high in the clouds until the pedestal got knocked over and all the pieces of a perceived paradise settled into a more authentic dust, one I could safely inhale without getting high. 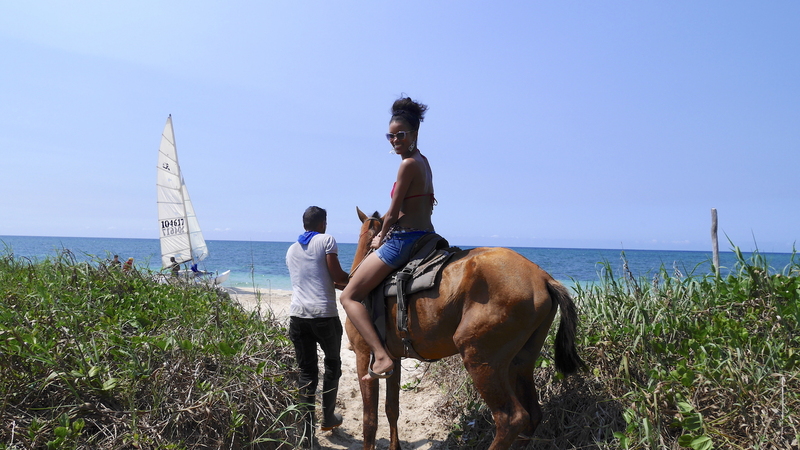 Cuba evolved from a place that I toyed with for a week to a place I wanted to hold onto forever. My fling flourished into a romance, becoming deeper and more significant. I no longer was simply in love with Cuba; I became forever indebted to her. Does she love me back? Is she filled to the brim with disappointment for how shallow my fascination with her timeless beauty was in the beginning? For how long it took me to go beneath the surface of her art, music, and museums to experience the genuine laugh of a child whose day was made from giving her money for some gum and ice cream, or the passionate exclamations of a beautiful curly haired man talking about his love for family and country? It matters not where I went or what I did, but rather what I saw and who I spoke to. 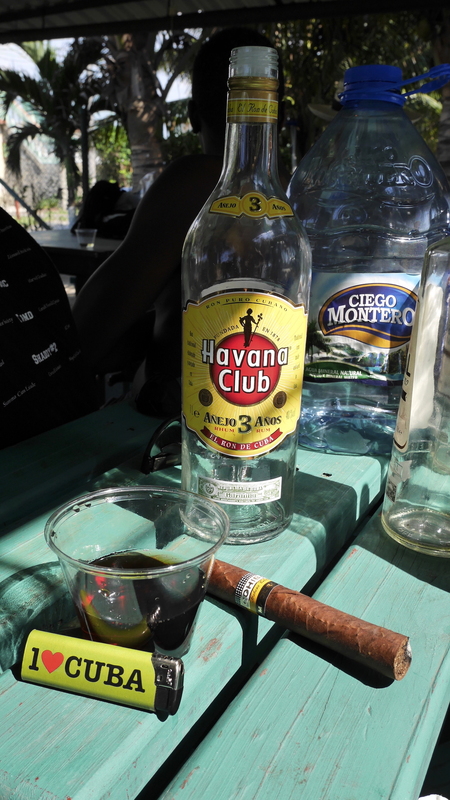 The people and Havana herself were enough for me to engulf myself in my Cuban experience. I met so many warm, friendly people of all ages. The dilapidated buildings told me stories about their struggles over the years, with a lack of funding preventing many of them from being restored to their original beauty. The beggars in the streets–although not the old, dirty, shaggy clothed ones you may be picturing, but rather young and seemingly well put together people who know a tourist who could spare a dollar when they see one–taught me their hustle, in the ways they approach you with unsolicited knowledge about a nearby building and ask questions about America and chanted Obama’s name, all before asking you if you have money for their next meal or unborn child. 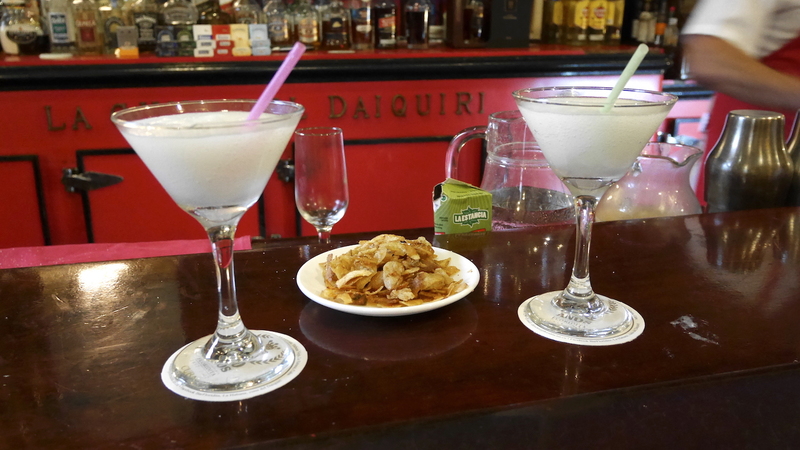 They are suave, cunning, raised by the swaying, tipsy streets of Havana, and yet so friendly and curious. 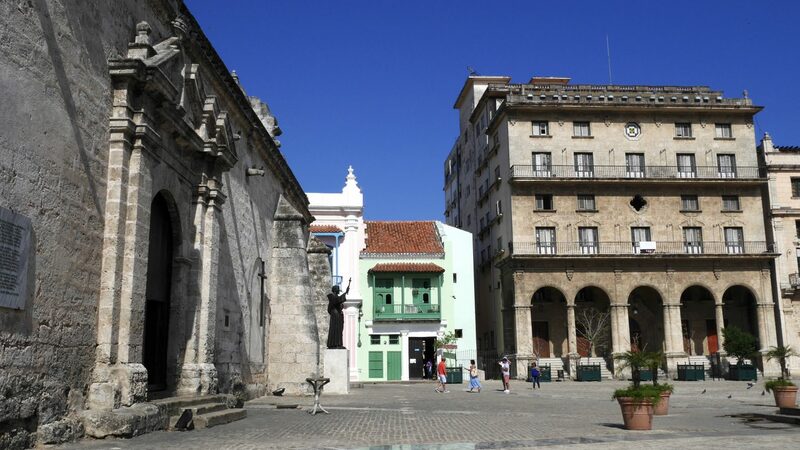 Even the distressed cobblestone, the statues of legends who died fighting for a free and just Cuba, and the colonial buildings that refuse to release their hold on the days of Spanish rule over Cuba taught me about the struggle of the island from hundreds of years ago. 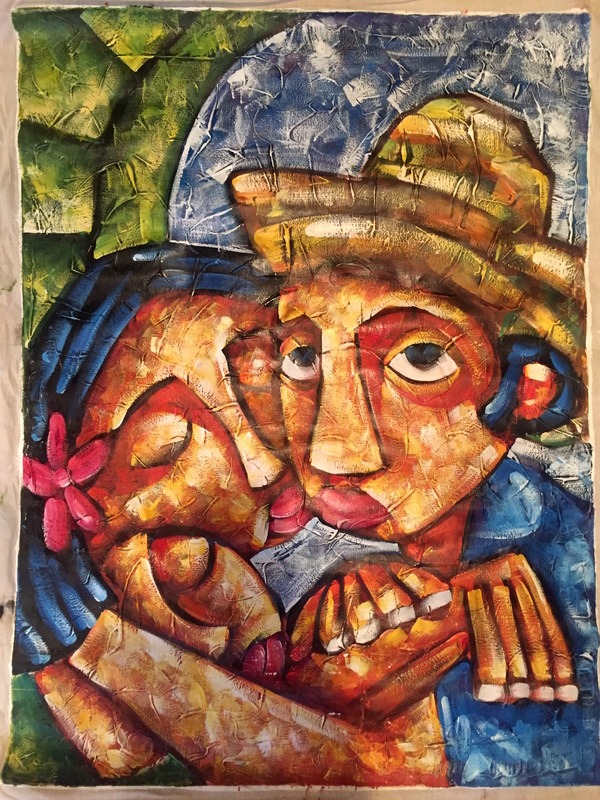 In addition to the wonderful sights I saw, art I collected, and lessons I learned while in Cuba, I am also grateful for the new friends I made. The local Cubans, our tour guide, and so many of the amazing people who were part of our tour group all contributed to the success of this trip. I’m excited to see where these new friendships take me and blessed to know so many intelligent and compassionate people. I’m also so thankful for Justin, who took time out of his busy schedule to show me around and teach me so much about the country. For the first time in the history of my travels, I left a new country simultaneously heartbroken and in love. I already feel a sense of nostalgia: the haze of cigars, the mint leaves of mojitos, the sweetness of the plantains, the kiss of the moist air and flirtatious sun. The moments I encountered dance around in my mind like the strong rhythm of a rumba beat, like a blend of many colors, senses, and times. 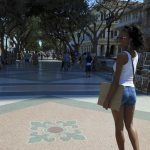 Cuba has reinvigorated my passion for writing, for creating. My artistic side is stimulated, my curiosity reawakened. Experiencing the many dimensions of history, art, culture, food, and music through this diverse group of intelligent, passionate, and wildly creative people, despite their poverty and limited resources, has truly improved my capacity for empathy, tolerance, and overall global citizenship. 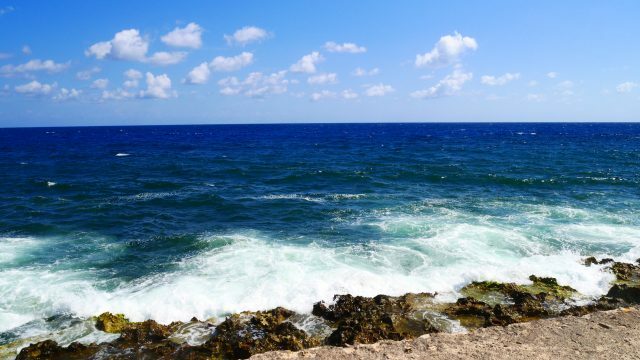 I’m forever changed, having discovered a better version of myself, a version who improved with every step on the Prado, every breeze I inhaled along the Malecón, every sip of a Mojito, every laugh from a happy child. 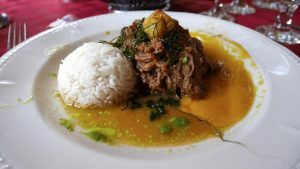 Yet a couple weeks after my trip, even right now as I wrap up this post, I realize more and more that the ferociousness of what I had in Cuba is fading. It was indeed magical, but returning to my reality–to this American version of normalcy that I’ve experienced all my life–forces me to realize that my journey there was only a temporary gratification, an illusion of love. 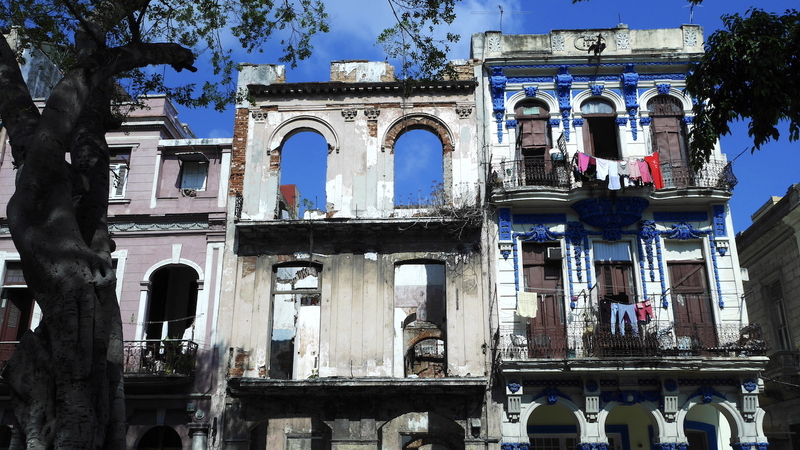 I was only one of countless other visitors to fall for Havana’s charms. She entertained me, inspired me, educated me, seduced me. But the love I have for her isn’t the love she has for me. She was never mine and will always belong to others. 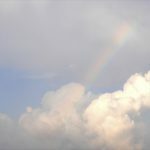 Her vivacity will never be forgotten, and the lessons I learned will follow me all the days to come, but a certain appreciation for the reality of what she and I shared will always mellow my vivid memory of it. I’ll need to visit Cuba again to keep the love alive and to truly deserve and better understand her, and I can’t wait to return to see if I can do just that. 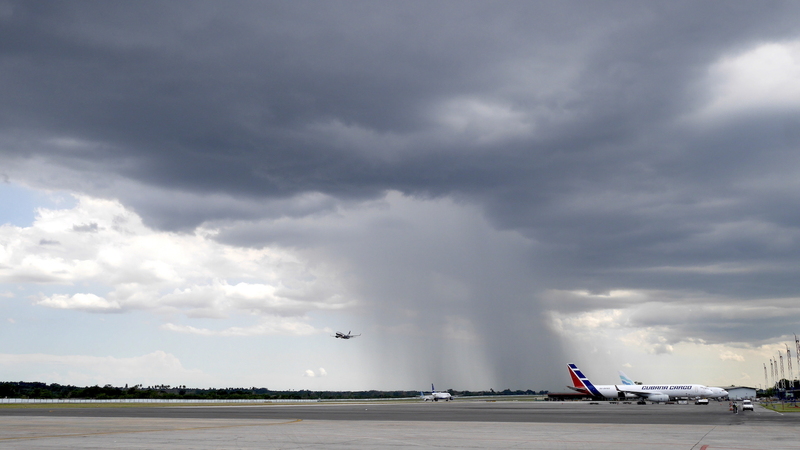 On my last day in Cuba as I walked to our plane unready to leave Havana, I saw a rain cloud pouring its contents in the near distance. 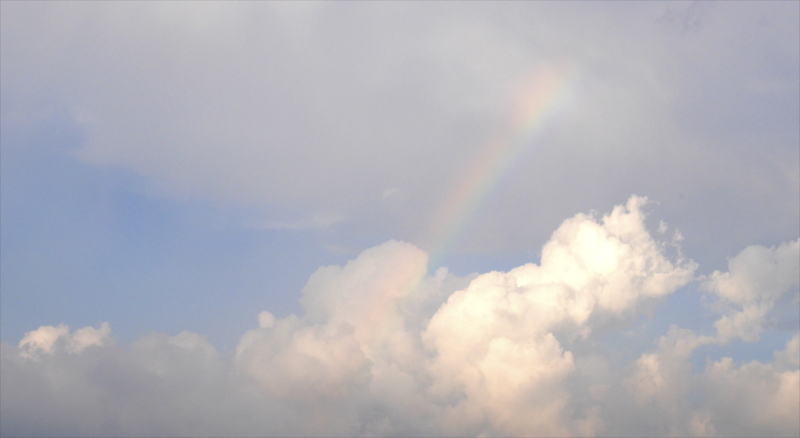 Luckily, the forecast of everyday thunderstorms that we anticipated never came to pass; we had strong sunshine and only a brief bout of rain that lasted less than an hour during the entire week we were there. 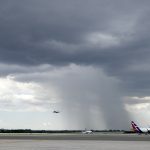 As I looked at the rain cloud, I wondered if Havana was reminding me that she wasn’t a perfect paradise. She’s still a diamond in the rough. Yet my heart’s bells still ring for her. My eyes stay moist for her. My legs tremble at night for her. The feelings I’ve developed for her…No tiene nombre. She’ll always be with me, even if I’m not always with her. This entry was posted in Travel and tagged Cuba, Havana, Romance. Great Article. 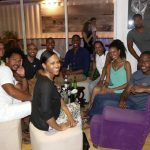 This did provide very a useful and insightful look into you experience with the Cuban culture. It’s plenty helpful for someone like me who’s interested in making the trip. 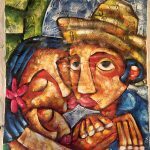 “Simultaneously heartbroken and in love” This post makes me want to experience Cuba for myself… Perceptive, well written & vivid, your words read like poetry capturing the many facets of such a beautiful country. This goes far beyond the typically vague, touristy getaway shpiel we’ve all probably grown accustomed to. Well done! I also fell for Havana’s charms but my feelings are deeper after reading your insightful and superbly written post. Maybe I too will return to see how she evolves and fall in love again! I’ve always planned to Visit Cuba. After reading this article and the passion within now I MUST go. Beautifully written!! This is such a beautifully written post. Thank you. As a fellow member of the tour group, I feel that you have captured everything I felt….and so much more. 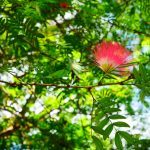 Great post as always! I’m so glad that we were able to experience this beautiful island together.